Andres' obituary has been upgraded to a memorial website. For the next 6 days, you’ll be able to share photos, videos, family trees and much more. Keep all the memories online forever by sponsoring this memorial website. The family of Andres Mendez Casias created this Life Tributes page to make it easy to share your memories. 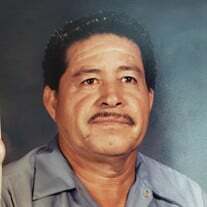 Send flowers to the Casias' family.